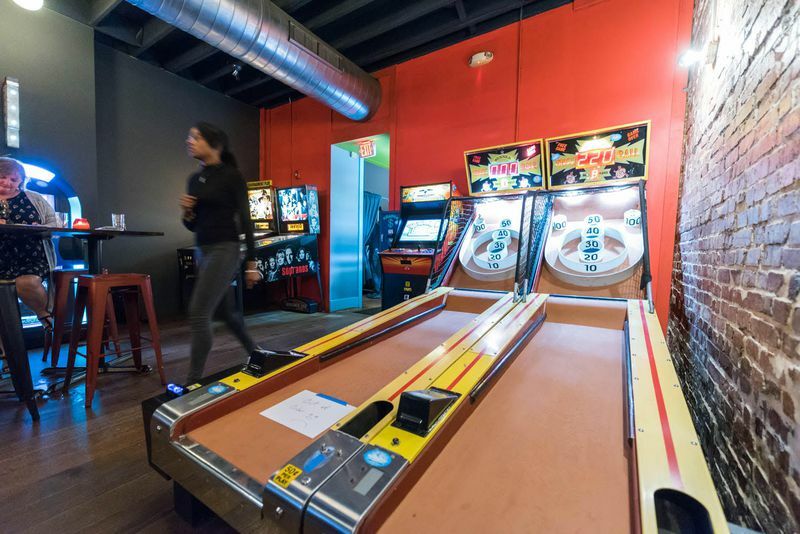 There’s no shortage of entertainment options at Atlas District newcomer Bar Elena, the neighborhood restaurant opening Tuesday, November 7, that fulfills chef/co-owner Adam Stein’s dream of bringing fun food, local brews, and engaging games to his former stomping grounds. 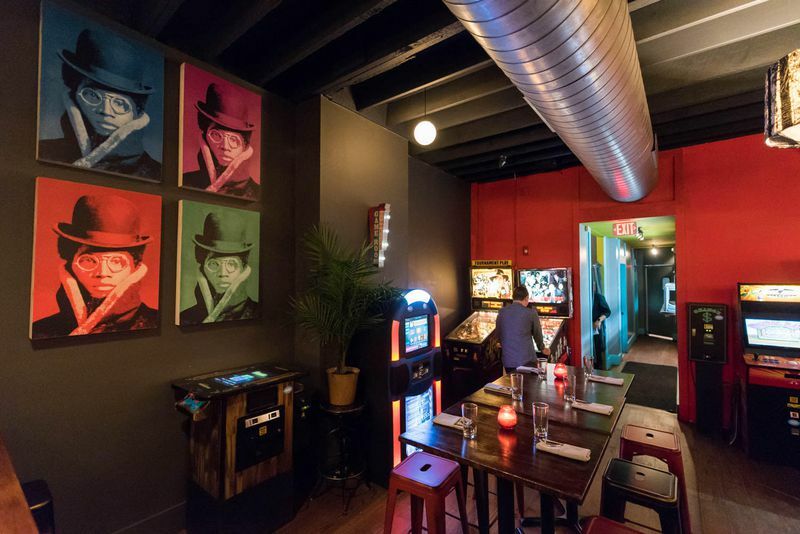 Stein, an alum of local eateries including pubby Queen Vic and beer-friendly Big Board (among others), tells Eater he has longed to see more laid-back restaurants crop up along the drastically evolving strip. “It’s time this side of the street got some love,” he says. Stein’s contribution to that cause involves offering up funky comfort foods, a number of electronic diversions, and a slate of intriguing drinks. 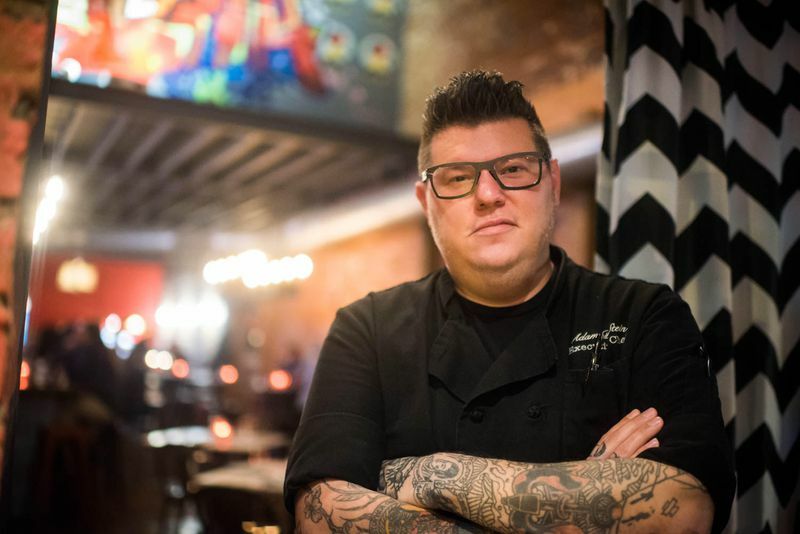 He’s joined in this mission by Sharon Wetteland, who followed Stein over from his most recent stint at Red’s Table in Reston, Virginia, to serve as general manager at Bar Elena, and by Lindsay Parsons, a Radiator alum tasked with overseeing the bar. Bar Elena chef and co-owner Adam Stein. 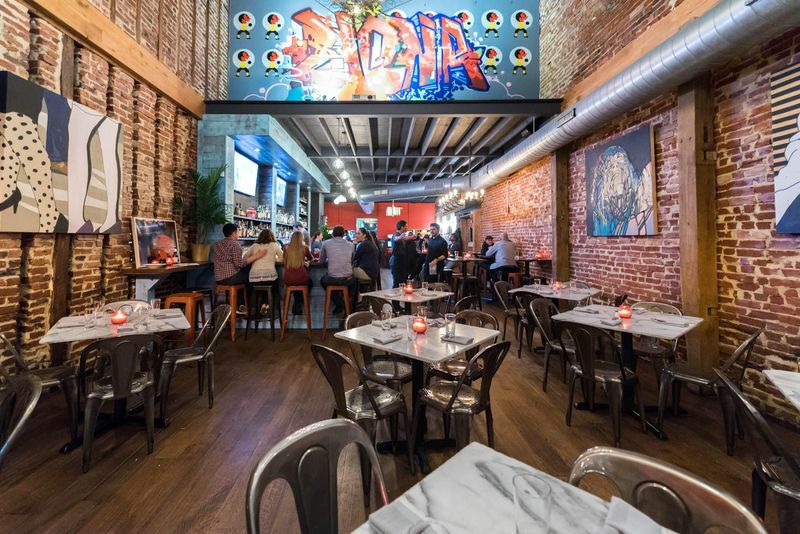 Stein tells Eater that friends created most of the art featured all around Bar Elena. The front of the new restaurant should look somewhat familiar to those that visited its predecessor, Boundary Road. Stein says he’s moved some things around, but wound up keeping roughly the same number of seats. The major difference in terms of design — yes, the mattress chandelier is hanging around — is the mini-arcade Stein has installed in back. Twin Skee-ball machines at Bar Elena. Two pinball machines and two “multicade” machines — one of ‘em’s even got Space Ace (watch out for that infanto ray) — are primed and ready to siphon quarters from every pocket. Those interested in more tangible investments should give the menu a once over. 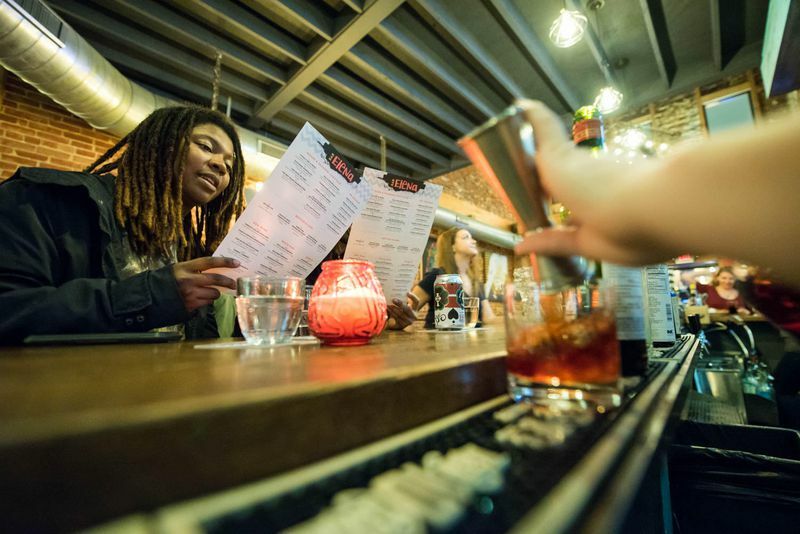 Parsons has stocked the drink list with four evergreen(ish) cocktails — including a modified version of the Campari-fueled “Vespa” cooler served by Boundary Road — as well as a handful of seasonally inspired selections (a rum-mezcal creation is mesmerizing). Staff mixing drinks at Bar Elena. Wetteland, meanwhile, has brought together wines from around the globe. There’s crisp whites from America (Adelsheim Auxerrois), bold reds from Europe (Familia Montana Rioja Reserva), and dueling rosés (France versus Washington state). 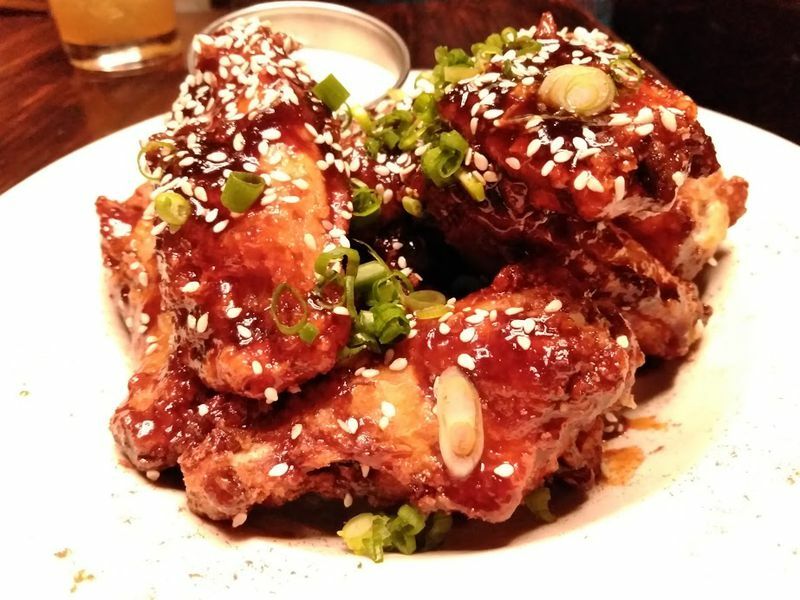 The General Tso’s wings at Bar Elena. 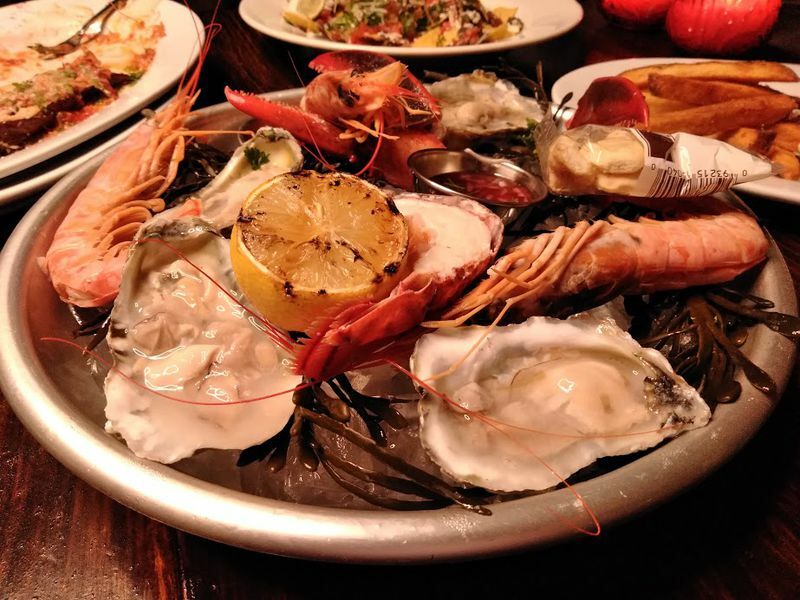 A sampling of fresh seafood at Bar Elena.